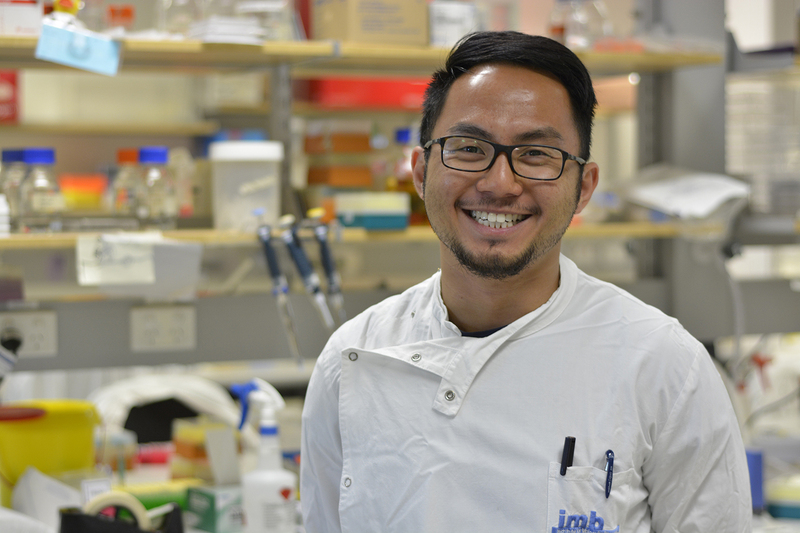 Dr Kaiwen Chen has been awarded a PhD after completing his project 'Inflammasome function in neutrophils'. Kaiwen completed his PhD in the Inflammasome Lab supervised by Kate Schroder and associate supervisor Matt Sweet. 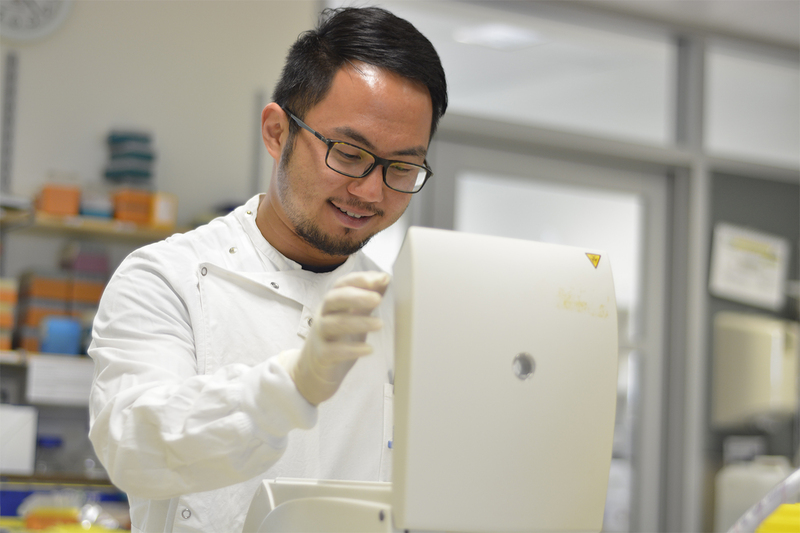 Kaiwen began his PhD in 2011, and during his PhD was awarded an ANZ Trustees PhD Scholarship in Medical Research (2013), a Network of Immunology Frontier Winter School Advance Immunology Award (2014) and an Australasian Society for Immunology Postgraduate International Travel Award (2015). Kaiwen published 8 articles during his PhD including first author research articles in Cell Reports (2014) and European Journal of Immunology (2016), a first author review (Current Opinion in Microbiology, 2013) and first author book chapter (Cancer and Inflammation Mechanisms, 2013).